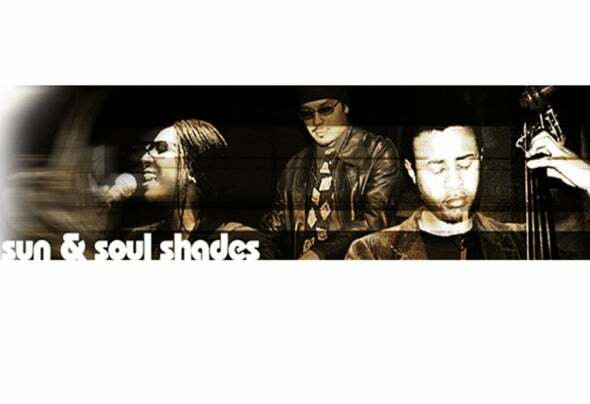 Sun & Soul Shades, a jazzy-house / electronic-soul project founded by Fed Conti. The first singer of the band was Ginger Brew who collaborated on the two singles “Goldmine” and “True Love”, to pass down the title to the american singer Theresa Burnette from Nashville who started with the 1st Sun & Soul Shades Ep and Album (The Dawn Of Sun & Soul Shades). Muted horns, soulful tenor saxophone, nasty vintage keyboards, smokey jazz bass and the warm vocal delivery. Early comparisons to the mighty St. Germain (Parisian, Ludovic Navarre) are justified, and it’s of no surprise that the king of new-beats, Giles Peterson, has already thrown his weight behind the 1st Sun & Soul Shades releases, this project has all the qualities to become a future jazzy house giant! Sun & Soul Shades sold records in 22 worldwide countries located in Asia, Africa, Usa & Europe.Theresa Burnette :: BiographyGrowing up in Nashville Tennessee, Theresa began her musical carrier at the young age of 6, singing in the gospel choir of her father’s church. Later she studied singing in a church college.Her strong expressive voice and typical southern temperament helped her to musical success on stages as well as in studio recordings.She gained her live show experience from singing lead or background for various live bands and Acts, such as, Madchicks of Soul- VIP Band for Formel 1 and DTM Mercedes, Cover Band Soulkitchen, Golden Gospel Singers, Mary J Blidege, just to mention a few. She has worked with many producers like, Dieter Falk (PUR), Billy Allen´, (Cameo), Frank Loncar (Kid Creole & the Coconuts), Peter Hoff (Benztown Records), worked as background singer and studio productions from La Bouche( Be my Lover), Marque (Daisy and her Boyfriends), Lou Bega and Randy Crawford. In 1997 she had a Dance-Hit, Beachball #11 in the European charts, produced by Nylin and Cain. From all of this she has shown that she has the ability to place in the music charts: "Mellow D"- Theresa’s first Live- Band in which she wrote and produced original songs. Two of her songs from the first album "All Around the World" and "Brothers and Sisters" were the Southern Germany radio hits in 1996. "All Around the World charted #26. Moreover, the song won Video of the month by Viva Music Videos. In 2002 Theresa wrote an Olympic song for Blue-Eyes Productions it succeeded till the final.Today she performs with her band (Theresa‘s Playground) all over Germany, singing her originals and cover songs. Moreover, she is expressing her singing and writing abilities with the Italian producer Federico Conti, under the project name Sun & Soul Shades.